Bigger isn't always necessarily better. Sometimes an appetizer can get the job done better than an entree. 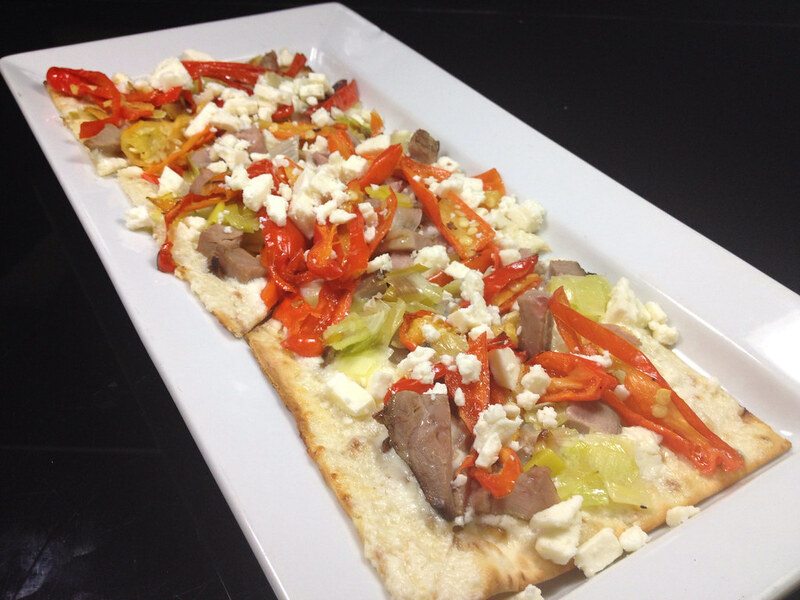 Case in point is our newly featured flatbread consisting of slow roasted lamb, feta cheese, roasted shishito peppers and thinly sliced leeks. This dish is a new addition to a series of flatbreads we offer (I'm sure many of you remember the heirloom tomato flatbread we just featured through the summer. It was one of our top selling items in the last three months). In either case, we're positive that this dish is perfect as an appetizer to start your meal... it could even settle for being the main feature. Continuing with the theme of non-traditional entree choices, we'll also be serving a dish that can be had as a side... or again as a main course. Our chefs will be serving a mix of fresh arugula, orzo, roasted tomatoes and toasted pinenuts. Topped with a balsamic dressing, we feel this dish is best supported with a skewer of freshly grilled shrimp as a main course. For those who can't commit to a full meal, this dish will also be offered as a side which can easily be topped with a variety of specialty toppings found on our menu. While I mentioned before that bigger isn't always better, in this case it is true. While we may not technically classify these dishes as entrees, it shows the versatility of our menu options. So come make a dish extraordinary with a few additions of your own choosing. But you'll only be able to do that if you come experience it first hand (or with takeout)!